Enjoy big savings on some of the most popular wedding accessories at Affordable Elegance Bridal! Our low prices just got lower on these wedding veils, jewelry sets, headpieces, bracelets, earrings and more! 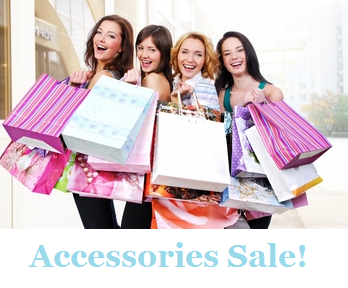 You'll enjoy clearance pricing while quantities last on these super accessories for your wedding, prom or quinceanera. Quantities are limited, so don't delay! Beaded Cathedral Wedding Veil Elena Designs E1122L - sale! Vintage Elegance Silver Plated Bridal Bracelet - sale! Charming Cubic Zirconia Bridal Jewelry Set - sale! Silver Plated Freshwater Pearl and CZ Wedding Jewelry Set - sale! White Pearl and Crystal Side Accent Wedding Headband - sale! Freshwater Pearl and CZ Bridal Bracelet - sale! Glamorous Cubic Zirconia Drop Wedding Jewelry Set - on sale! Wedding Hair Vine with Lavish Crystal Sprays - sale! Stunning Antique Silver CZ Wedding Jewelry Set - sale! Simply Elegant Rhinestone Wedding and Quinceanera Tiara - sale! White or Ivory Pearl Wedding Brooch and Comb - sale! Classic Rhinestone Wedding and Quinceanera Tiara - sale! Rose Gold Romantic Scroll Davina Crystal Wedding Tiara - sale! Rose Gold Plated Rhinestone Wedding and Quinceanera Tiara - sale! Freshwater Pearl and CZ Floral Wedding Bracelet - sale! Regal CZ Chandelier Wedding Earrings - Sale! Stunning CZ Oval Vintage Look Wedding Earrings - sale! Dainty Cubic Zirconia and Freshwater Pearl Bridal Earrings-sale! Crystal and Rhinestone Floral Wedding Tiara - sale! Rose Gold Rhinestone Wedding and Quinceanera Tiara hp1879 - sale! Regal Scroll Rhinestone Wedding and Quinceanera Tiara - sale!